Looking for your own business premises or medical consulting rooms? This 106m2 (approx.) ground floor commercial suite has been operating as specialist consulting rooms and offers 2 car parks. Fit out offers entry/waiting area, reception, private kitchen/dining area, 2 large consulting rooms, separate file room and male and female toilets. Ducted air conditioning throughout and alarm system. Offering a fantastic central location for medical/consultant businesses. 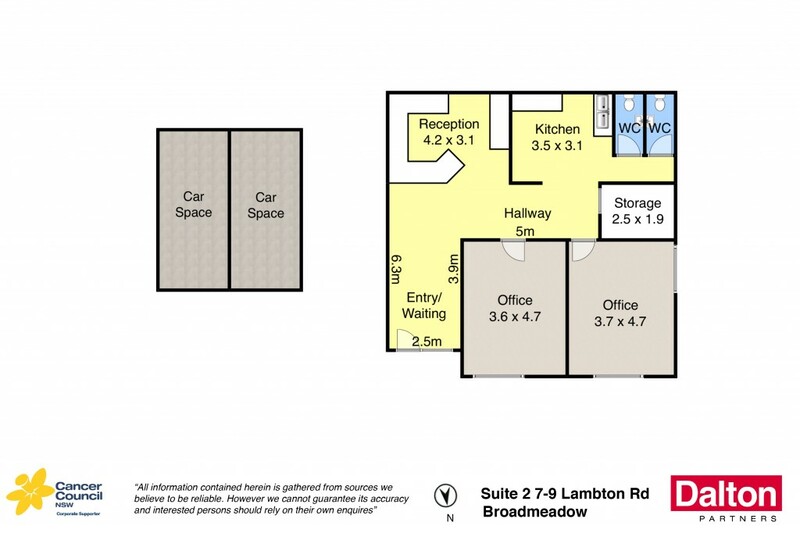 * Fantastic investment/owner occupier office/consulting rooms. * Ideally positioned in prominent central location with 2 car parks. * 106m2 (approx.) ground level suite positioned in a 5 unit strata complex. * Entry, reception, file room, M/F toilets, kitchen and 2 consulting rooms. * Perfect superannuation acquisition for your business or profession. * Ducted air conditioning throughout with alarm system. * Ideal investment offering a net return of approx. 6.6% - 7.6%. Council Rates: $2,790 PA approx. Water Rates: $650 +Usage PA approx. Strata Levies: $1,449 PQ approx. Rental Potential: $520 - $600 PW approx.